“Babylon 5” – my favorite television show of all time. My wife and I recently finished watching the final season of Babylon 5. This is a minor miracle in our house for two reasons. First, although we watch quite a bit of television-on-DVD (or, more often these days, on streaming services such as Amazon Prime or NetFlix) it’s actually fairly rare for us to finish an entire show together. Eventually one or the other of us will become generally bored (her much more frequently) or decide that the show has jumped the shark and is no longer worth watching (probably a tie between us). Second, we started watching this show nearly a decade ago. Now, to maintain my SF cred I must point out that I had watched the entire show end-to-end before – nearly twice. 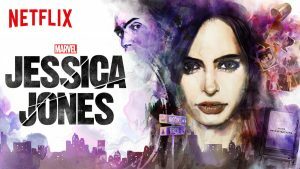 In fact, I began watching the show only two or three episodes in to the first seasons (thankfully, I got to watch those few episodes I missed very early on in reruns thanks to the show’s unconventional airing schedule). From that point on I never missed an episode – until season five when Babylon 5 jumped to TNT. We didn’t get cable at the time, so I had to wait to catch season 5. And wait. And wait. For my college graduation, my aunt made me a collection of VHS tapes of the entire series that she’d recorded off the air. 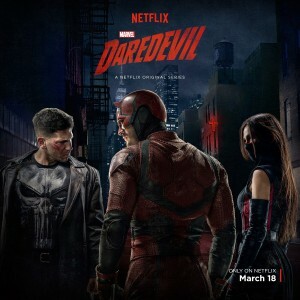 I had nearly a month between finishing classes and starting my job, so I sat down and binge watched the whole series again, finally getting to see season 5 (as I said, I had previously watched the series nearly twice). This, of course, was in the days before binge watching was really a thing. Fast forward a few years and my wife and I began watching the show (which at that point she had not seen) together. We watched through season four… and then she had a burst of ADD and got interested in something else. A month or so ago I finally convinced her to pull out season five again and finish off the series. Watching season five in isolation was an interesting experience. I should preface the discussion with the note that Babylon 5 is my favorite television series of all time. It was also unprecedented. Today, it is common for television shows to have a season long story arc. Each episode is watchable individually, but when you watch an entire season together a larger storyline unfolds. And most shows have this planned out about a season or so at a time. Back in the mid 90s when B5 aired, nobody did that. Most major television basically returned everything to status quo at the end of every episode. But Babylon 5 did something even bigger than what we do today: the entire five year story arc was planned out in advance, from beginning to end. My wife knew this going in. Still, when watching the final few episodes this weekend, she commented on how striking it was to see a television show that actually resolved its story and actually ended – as opposed to just being canceled. Also, every time I rewatch the series I’m stricken again by how good the show actually is. The best parts of the series, by a good margin, are seasons two and three and the first half of season four. But when Morgon and I first started the series together all those years ago, I was hit by how good the show even started. 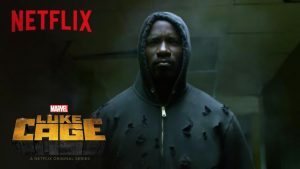 Straight out of the gate with season one it was a solid show – and only got better after the usual first few episodes of “finding their footing.” And although I recall season five as being the “weak” season (which I still believe), it, too, was really good. The pre-planning of the storyline really shows through, and it really ups the quality level – even when you have to watch it fifteen years later with some seriously dated CGI and some clear signs of low-budget production and a couple of mediocre actors. The writing on the show is phenomenal, and together with some really standout actors who step above the pack it really carries the day. 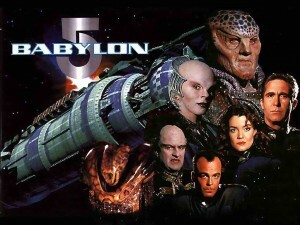 You can’t say “they don’t make shows like that anymore” because they never really did make shows like Babylon 5. But it’s a shame, and they really should.